Italian Restaurant located in the heart of Kendall Square, Cambridge, MA. 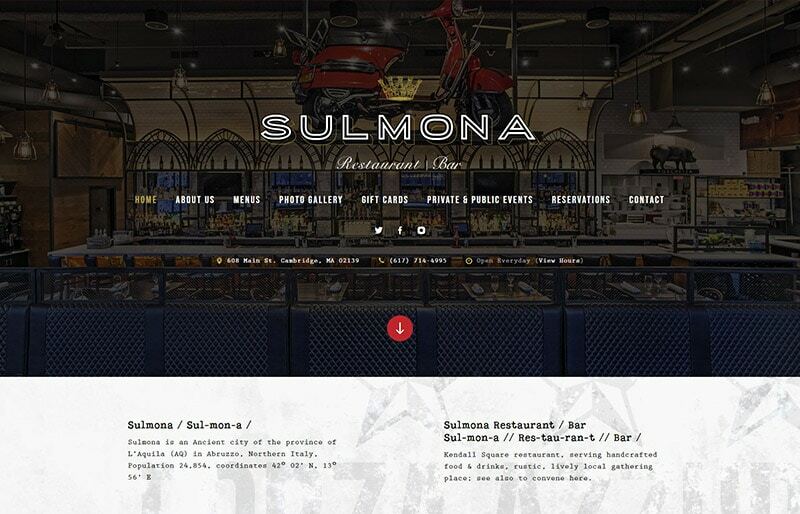 Located in Cambridge, Massachusetts, Sulmona Restaurant serves wholesome homegrown Italian cuisine and carefully crafted drinks. Sulmona, which means "to gather", boasts a warm and vibrant atmosphere. A beautiful 30-seat bar, gorgeous family-style tables, and comfortable leather booths, its the place to relax and unwind. 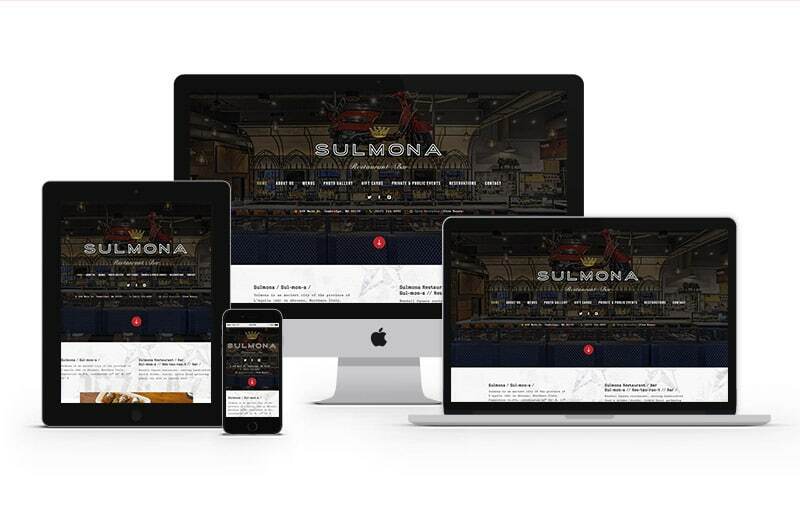 Sulmona was in a need of a new website just as modern and welcoming as its restaurant. GoingClear Interactive got to work designing and developing a website that included a masonry image gallery, a custom Press section located on the About page, and customized menus that were designed using elements from the actual print menus. Of course, the team at GCI couldn't pass up the opportunity for on site meetings as a source of design inspiration! 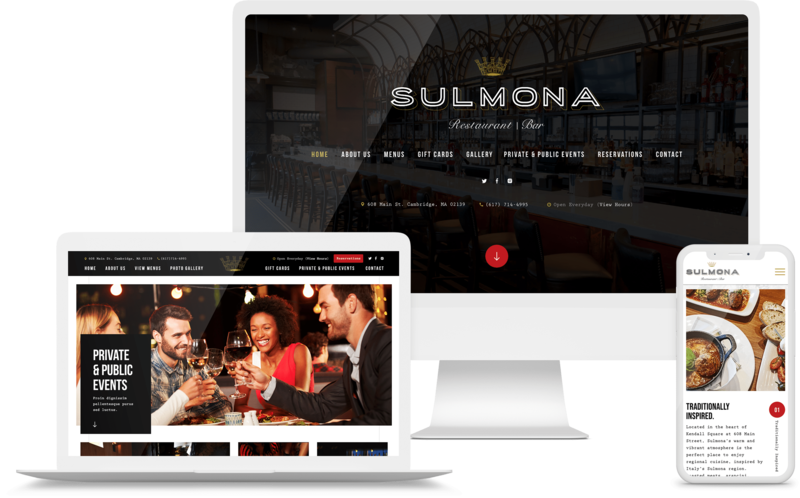 Now, gathering visitors on the web will be just as easy as it is in their restaurant!